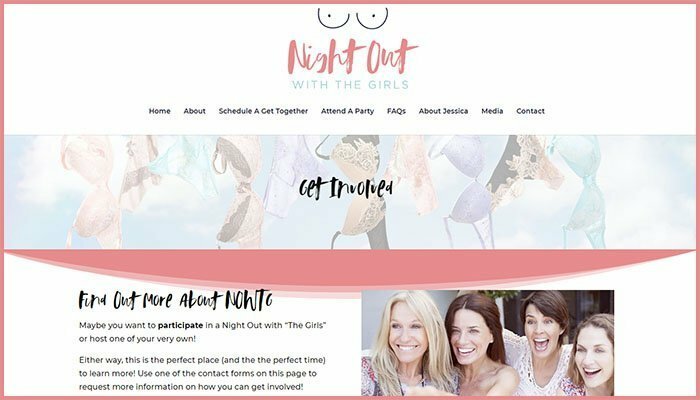 With a focus on education and awareness, Night Out with “The Girls” tackles awkward questions about early breast cancer detection in a fun, relaxed setting. Jessica Sidener provides a refreshing, enlightening twist on the old-fashioned girls’ night out. What truly makes these events different and special is that a healthcare provider and a breast cancer survivor join in on the fun! Jessica tells her story vividly on a how a self-breast exam saved her life. She had kept putting it off and making up excuses. Then, one day she randomly did a self-breast exam in the shower and discovered a lump. One week later she was diagnosed with breast cancer. That’s why she is so passionate to give women the scoop on early breast cancer detection, and how to perform those pesky self-breast exam. Through Night Out with “The Girls”, participants will be in a safe, comforting setting where they can ask important questions about early breast cancer detection. All questions are embraced, encouraged and celebrated! The true win/win is that not only is everyone enjoying amazing ‘girl time’, they also learn potentially life-saving tools. We all need to understand the steps that can be taken to detect breast cancer, with the ultimate goal of finding it early and minimizing the impact. Night Out with “The Girls” provides this potentially lifesaving information. The finished product is feminine and fun rolled into one. It is casual and descriptive of the festive events that encourages comradery. The website makes visitors WANT to join the party and participate in a unique learning event.